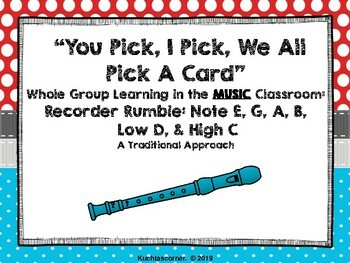 This adorable whole group Cooperative Learning style structured game for the music classroom is perfect for getting every child engaged in equal, interactive participation learning while reviewing the basic beginning foundation in theory skills, rhythm and melody reading, as well as recorder skills. 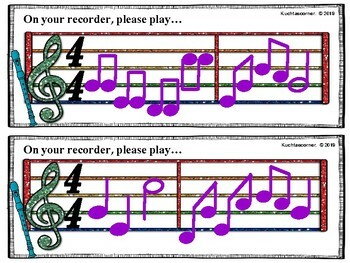 Students will practice reading various melodies learned on note B, A, G, E, Low D, and new note High C in the Traditional style/approach to learning the recorder. Game directions, helpful printing tips, playing cards, and playing task job mats are all included in your purchase. 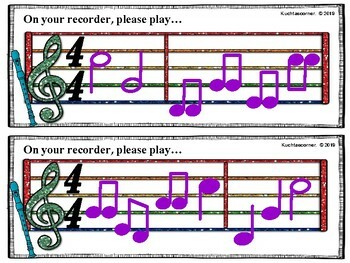 Children will experience every leadership role within this game, including that of being expected to accurately identify and play various melodies including learned note B, A, G, E, Low D, and new note High C. Students will beg for this activity over and over. 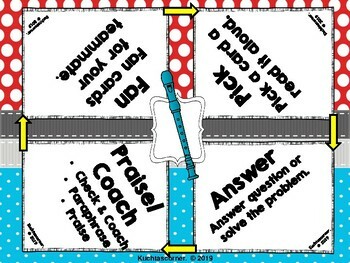 This activity/lesson can be used as an entire class activity or is great for small group/centers work.